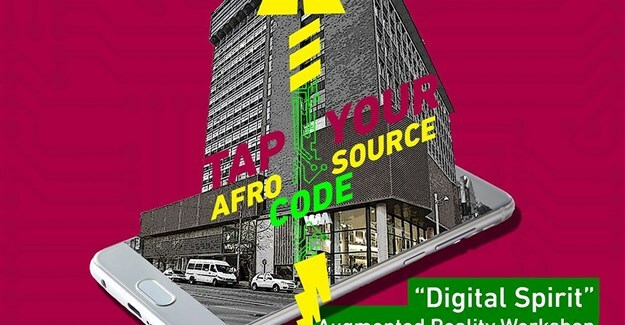 'Tap your Africa Source Code' is the theme of the Fak'ugesi African Digital Innovation Festival this year and will focus on bringing important African visions and futures, by tapping into the sources of African tradition and culture alongside technology, creativity and innovation. This year’s Fak’ugesi Residency artists include: Nkhensani Mkhari (Johannesburg), Joshua Chiundiza (Harare), Yara Mekawei (Cairo), Abhiyan Humane (New Delhi), Anoop Saxena (New Delhi), and Mathilde Buenerd (Geneva). This is the fifth and most expansive artist’s residency and this year includes artists from Cairo, New Delhi and Geneva, together with an artist from South Africa and another from Zimbabwe, supporting regional connection and networks in the digital arts. The residency is currently underway, taking place from 8 August to 9 September 2018. The Residents will be hosted by the brand new Tshimologong Maker Space and the Wits School of Arts Point of Order Gallery. There will also be a final exhibition that will open on 4 September 2018 at Point of Order Gallery. The Residency will incorporate a special project by Swiss artist, Marc Lee, which focuses on language diversity in online media. Lee will act as mentor for the residents. 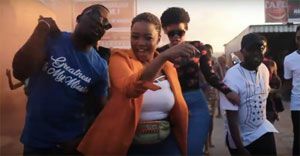 Fak’ugesi, which means “Switch it on” or “add power” in urban Zulu, is focused on making young adults aware of digital innovation. It is an opportunity for young adults, with or without formal education, to learn or engage with tomorrow’s technology.